The author Elizabeth Stone once said having a child “is to decide forever to have your heart go walking around outside your body.” That’s a painfully true statement. When our kids are dealing with heartbreak, discouragement, confusion, pain, fear… we feel all of that right along with them and long to erase it all from their little hearts. Unfortunately, all of those things are impossible to avoid while we’re still living in this fallen and sinful world. But we serve a God who does hear our prayers. Every last one of them. And as hard as it is to believe, He loves our children even more than we do. If we spend our lives trying to protect our kids from every difficult and uncomfortable situation, we’re actually doing them a disservice. While it is our role to protect them, it’s not our role to attempt to control everything that goes on around them. What we can do instead is walk alongside them as they face the uncertainties, failures, and heartbreaks. We can be a comfort; their safe place. We can be a voice of wisdom and a guide toward the only One who can truly give them peace. Talk to your kids. Let them talk. Even if it’s a situation that is difficult for you to talk about, your child needs to be able to be heard. She needs to know she can come to you with questions and concerns, and that you’ll be there to listen and offer help. Giving our kids every detail of a difficult situation may not be ideal. But if anyone knows how to catch you in a lie, it’s your kid. Be fully honest, leaving out only the details that would do more harm than good. For example, Grandma didn’t just go on a long vacation. She was sick and passed away. Maybe you don’t go into all the details of the illness for your child’s sake, but he needs the truth. When you aren’t honest with your kids, how can they trust you enough to be honest with you through this difficult time? 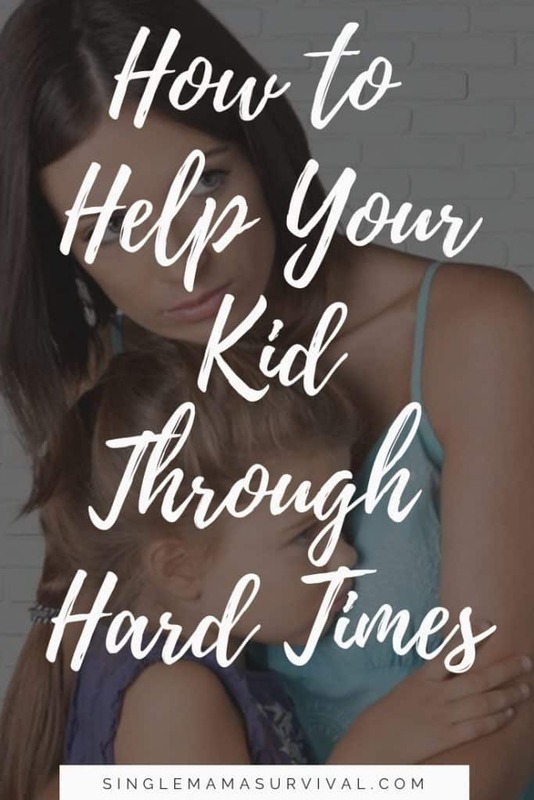 How do we want our kids to handle these hard times? By stuffing everything down deep inside and pretending everything is fine? By lashing out and alienating everyone they love? By resting in God’s perfect peace? How are you handling this hard time? Your kids need you, absolutely. But you can’t be the parent they need if you aren’t taking the time to grieve yourself or get necessary help or whatever the case may be. Putting your own pain aside for the sake of your kids may be necessary temporarily but must not be the case long term. Help your kids cope by showing them how you cope in a healthy way. There’s strength in seeking help for both yourself and your children. There isn’t pain or heartache that is small enough to be set aside as unimportant, especially in our children. Take your child to a Christian counselor, or sit down with your pastor, or grab coffee with a prayer partner. We can’t protect our kids from ever feeling pain or experiencing difficulties, but we can walk through it all with them. And most importantly, we can bring them before the God of all comfort and trust Him with their little hearts.